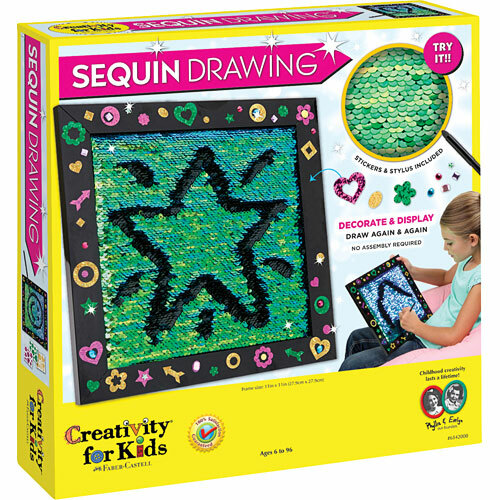 With 2 sides to every sequin, all it takes is a stroke of the stylus for kids to draw and erase endless designs. The 11" square frame is ready to decorate with the stickers and jewels. A new trend! 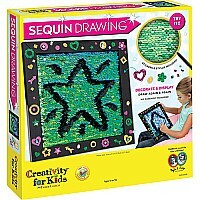 From Faber-Castell, for ages 6-12 yrs.